Ancient Egyptian civilization required regular flooding. The harnessing of water through irrigation and the nutrients that went into the soil caused the desert to bloom. The miracle of the Nile allowed a parched landscape to thrive. The recent deluge in the Detroit area makes me mindful of one potential benefit that might help a parched landscape of a different sort. In my personal and professional opinion, video games are causing a desertification in the social skills of our children. Yesterday’s flood waters may have lent parents a helping hand. We know a problem exists when an individual starts to prefer video games, the Internet or the computer, to people. When activities once enjoyed and pursued take a permanent back seat to the video game console, it is time to take notice. Behavior modification plans can be enacted, and measures can be taken to limit game and Internet time. It is remarkably difficult, however, for parents to play constant cyber cop, patrolling the house to make sure children are not circumventing the rules and imposing punishment when transgressions are uncovered. Over half of families that try this approach end up failing, because children are so adept at attaining access, and constant vigilance gets to be grueling. These children have grown up totally in the cyber age and easily outsmart parents when it comes to technology. So, maybe these floods have given some of us an opportunity: Do Not Replace Your Xbox! The floods may have destroyed your basement and parts of your home, but video games could well be destroying your child’s life. Does he or she play with friends face to face? Is your child getting regular exercise? Does your child spend more time in front of a screen than on homework? 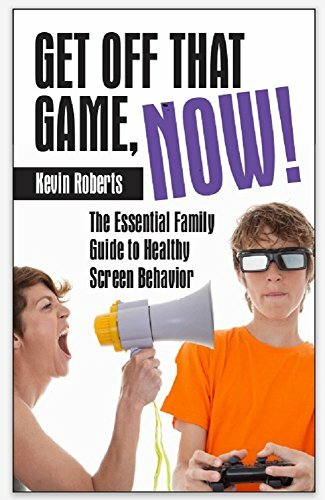 Do you have to fight to get your child off a game? If video games prevent your child from leading a balanced life, maybe it’s time to get rid of them, or at least not replace them. When we spend time in certain activities, the brain responds by allowing the neural circuits needed for those activities to thrive, while it “prunes” back those that are not being used. I am afraid that the neural networks needed for face-to-face human interaction are becoming parched. I worry that our young people are becoming screen-oriented to the detriment of balance in their lives. As the people of Egypt needed the life-giving waters of the Nile to sustain their civilization, I believe we need renewal in our own culture. Consider that recent floods have brought us a small opportunity to move in that direction. Kevin few people could capture the poetic side of a flood let alone of the poetry in video games. Michael, thank you for the vote of confidence. Thanks for posting that insightful blog. Im in the process of quitting games and facing real life. im 31 years by the way. i failed to be a moderate gamer. the only way for me to go is total abstinence. For sure we need renewal. Thanks also for the advice on exerices. im making it to a priority to exercise…. tsay blessed. I appreciate your struggles. For me, it is more a matter of avoiding the games that cause me trouble. Kevin, what I think is lacking is an appreciation for the long-term consequences of gaming to excess. Furthermore, children feel entitled to technology and electronics, and parents increasingly buy in to this rather warped view of reality. Thank you, Kevin, for continuing to be the voice of reason in this area. YOU GO! YOU ROCK! This is awesome. Great and true story. My basement flooded due to the rain I’m so glad my Sega Genesis in in tact. Well Kim, I assume you are in Korea. I hope you’re not getting the flooding over there. Great points! It’s so hard in this day and age because everything is electronic and that’s what they gravitate towards. I know with my son (7), we have to limit his time on electronics, ipad, computer, Wii and go outside to play or just do imaginative play with him, but he loves to just sit and do the electronics. Karen, luckily you are doing the hard work with your son at a young age. That should be a somewhat protective vaccine to later problems developing. Unfortunately, many parents wait until a full-blown issue with technology has arisen, and it is often too late. Technology problems in the teen years are ridiculously difficult to deal with. I thank you very much for posting! I love that the mother declared there to be no more Xbox in their house. In doing this maybe she will inspire other parents to follow in her footsteps. Maybe she can take the insurance money and buy outdoor toys, sporting equipment, or even sign her children up for some extracurricular camps/classes. Emily, thanks for your remarks. What I hope, first of all, is that my friend follows through on this plan! So often, the computer, the Xbox, become the default babysitter, and it is easier to give up and give in to it! Great article Kevin. You’re absolutely correct in that what we focus on expands and it’s all about creating balance. So, for a kid to lose a gaming console in a flood is a great opportunity to connect to other forms of interaction. I’m of the belief that all of the water whether rain or snow, is working to purify the heavy energy of this and other regions experiencing similar things. We’re part of then environment, not separate. To healing and balance! Posted on August 13th 2014, by robert h.
Bob, I believe with the right mindset, it is a purifying force, just like my house fire “burned away” a lot of my own “impurities.” Thanks so much for sharing on here!! !